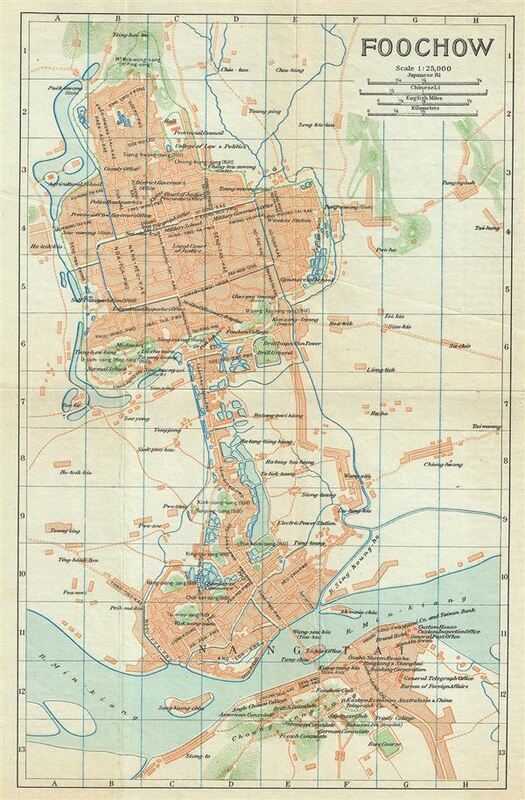 A beautiful 1924 map of Foo-Chow or Fuzhou by the Imperial Japanese Government Railways. The map covers Fuzhou, the capital and largest city in the Fujian province, in great detail, noting streets, rivers, islands, towns, and topography. This map was issued as part of the 1924 Official Series Vol. D of the Guide to China and printed at the Toppan Printing Company.